The English Developmental Continuum P-10 provides evidence based indicators of progress, linked to powerful teaching strategies, aligned to the progression points and the standards for the English Domain of the Victorian Essential Learning Standards. This site contains links to English-related learning and teaching support materials such as websites, publications, assessment examples, professional learning support and links to current research in the area of English education. The International Children’s Digital Library (ICDL) allows you to read over 1500 children's books online. The books are published in many different countries and languages. It provides free access to high-quality digital books from around the world. You can browse by age, genre, book length, character types. Video snapshots illustrate teaching and learning strategies for the Australian Curriculum for English. VELS is no longer the current curriculum in use. For comparative purposes this site provides access to the former Curriculum Standards document which outlines Standards for Levels 1 - 6, including the Reading, Writing and Speaking and listening Dimensions. The Victorian Curriculum F–10 incorporates the Australian Curriculum and reflects Victorian priorities and standards. In Levels 7 and 8, students interact with peers, teachers, individuals, groups and community members in a range of face-to-face and online/virtual environments. They experience learning in both familiar and unfamiliar contexts that relate to the school curriculum, local community, regional and global contexts. 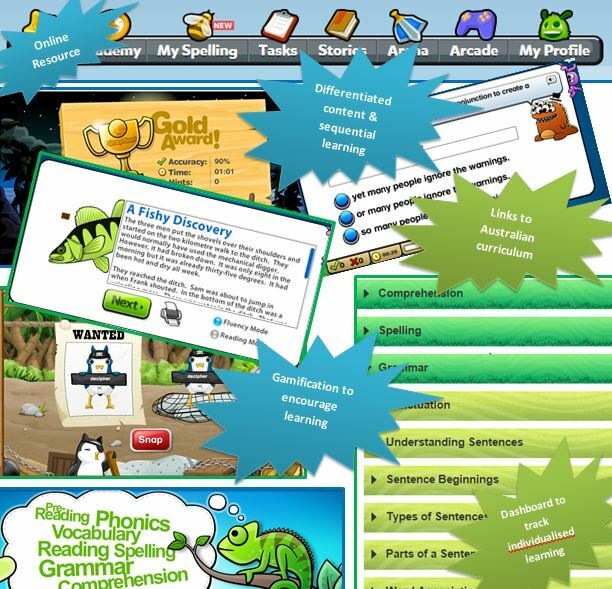 LiteracyPlanet is the premier online education resource for child literacy learning in Australia. It is designed by Australian educators and aligned to the Australian curriculum. LiteracyPlanet aims to achieve improving literacy skills nationwide by using education technology and providing a literacy learning experience for children of all abilities that is accessible, inclusive, empowering and effective, and fun.